In recent years, a highly interesting pattern has emerged: Computer scientists release new research findings on arXiv and just days later, developers release an open-source implementation on Github. This pattern is immensely powerful. One could call it collaborative open computer science (cocs). 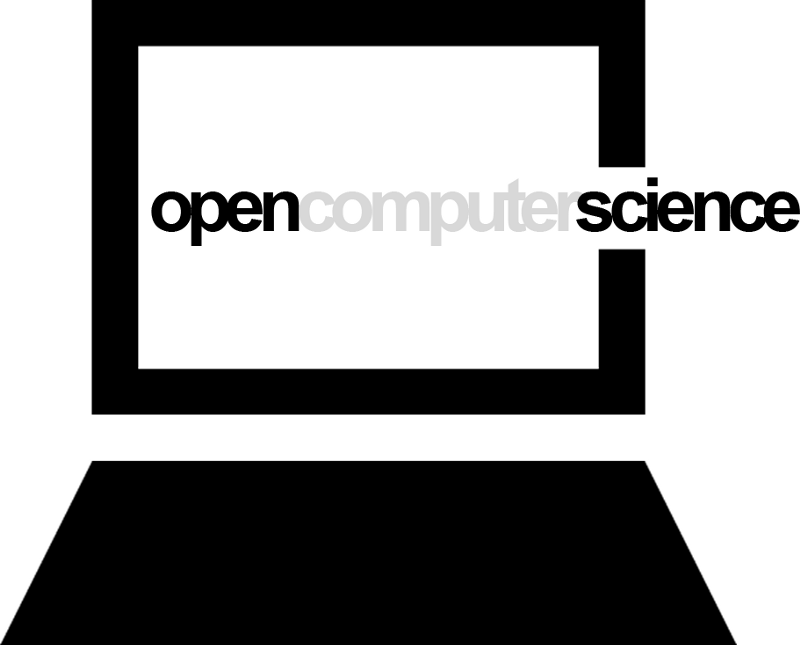 Open-Source and Open-Knowledge have profoundly changed our world. From nuclear plants to mobile phones, everything now runs on Linux. Wikipedia has shifted our perception of knowledge creation. Many more examples can be given, illustrating an ongoing shift towards openness. In science, there is a long standing tradition to publish openly. Peer-Reviews, revisions and debates are all part of this culture. Computer science operates in this tradition but has a caveat: It often deals with code. To truly understand code, one has to be able to run it and experiment. This is where open-source has empowered an entire generation. It elevates the academic discourse and lets the public participate and learn. True realistic optimism. GitHub is a web-based Git repository hosting service, which offers distributed revision control & collaboration tools. They have around 10 million repositories and close to 4 million users. arXiv (pronounced “archive”, as if the “X” were the Greek letter Chi, χ) is a repository of electronic scientific papers. It has over 1 million submissions and grows at a rate of 8,000 per month. GitXiv is a space to share open computer science projects. Countless Github and arXiv links are floating around the web. Its hard to keep track of these gems. 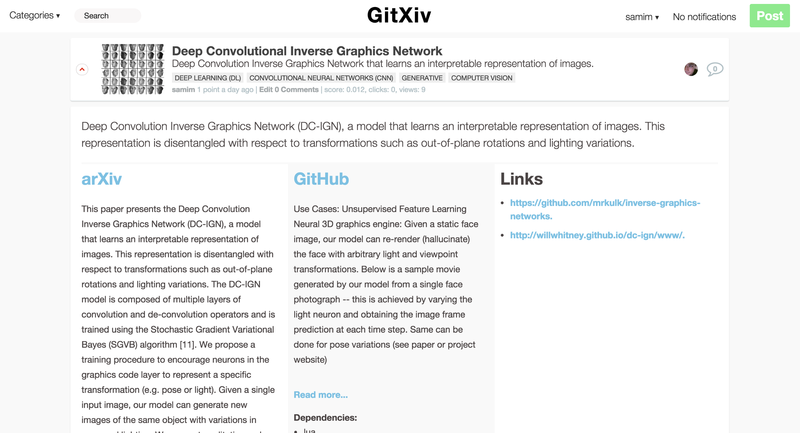 GitXiv attempts to solve this problem by offering a collaboratively curated feed of projects. Each project is conveniently presented as arXiv + Github + Links + Discussion. Users can submit their findings and let the community rank and discuss it. A regular newsletter makes it easy to stay up-to-date on recent advancements. It´s free and open. Feel free to browse the website, find interesting projects and learn. To post new findings & comment, become a member. Try it, it´s fun! There are countless places on the web to share links: Reddit, Twitter and your mothers inbox. The defining factor with all these outlets is the community. 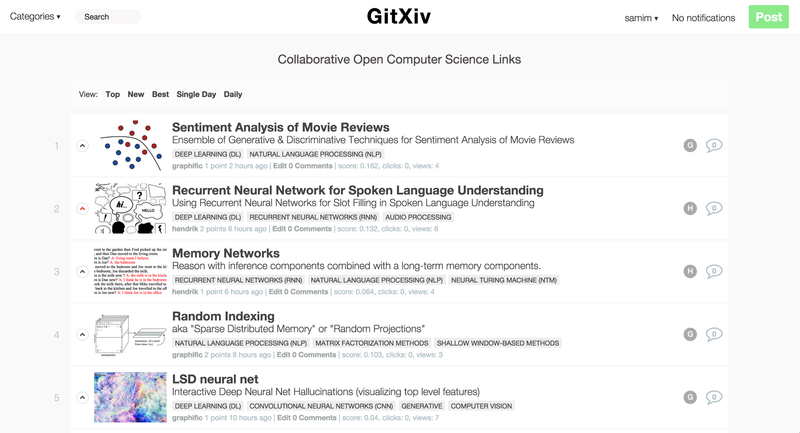 GitXiv focuses solely on one topic, open computer science. Thus it attempts to attract a niche community of researchers and enthusiast, sharing knowledge and learning from each other. Ultimately every project on GitXiv should have a “Run in Virtual Machine” button, multiple git repositories per project and so many other things. The sites code is open-source. Have fun with it and most importantly: share the link. Sign up for the Newsletter for more experiments like this! Designer & Code Magician. Working at the intersection of HCI, Machine Learning & Creativity. Building tools for Enlightenment. Narrative Engineering.